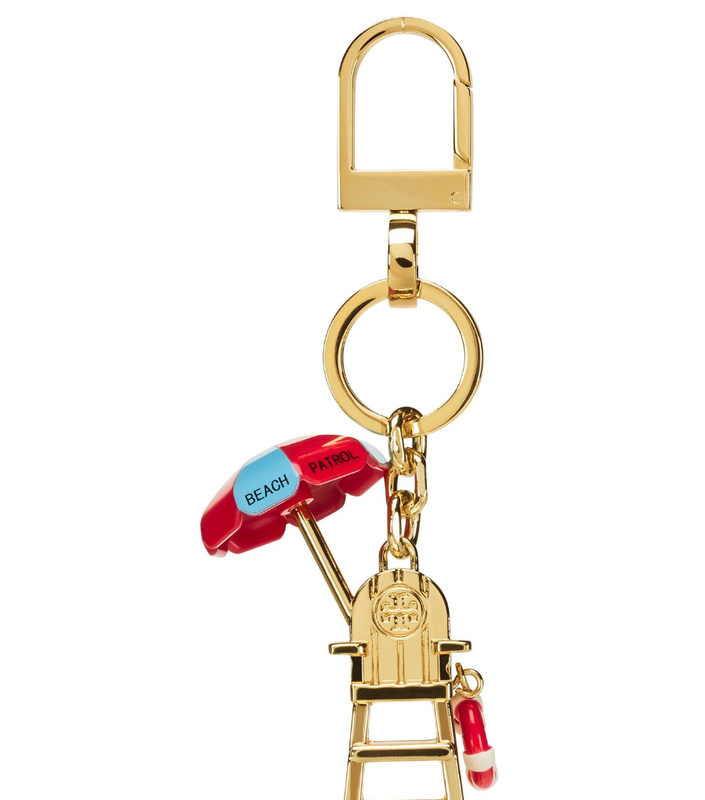 I know this $650 Fendi Bug Monster Fur Key Chain made out of calf leather from New Zealand, dyed fox fur from Finland, and dyed goat fur from China isn’t technically clothing, per se, but this certainly counts as “ridiculously expensive” and “irrelevant.” A “bug monster” key chain is something I should be able to buy for my niece from one of those claw vending machines for… okay, probably $650 because those things are impossible and addictive, so fair enough, Fendi. No. Just no. This rhinestone tiger keychain is the gift your high school best friend Stephanie would get you from Spencer’s for your 16th birthday, and then you would finally see what everyone else had been telling you all along — Stephanie is a monster. Are you sick of misplacing the key to your secret underground laboratory? Need motivation to stop watching Blade Runner 2049 trailers over and over again and actually go down to what both looks like and, unfortunately, smells like the Bat Cave? 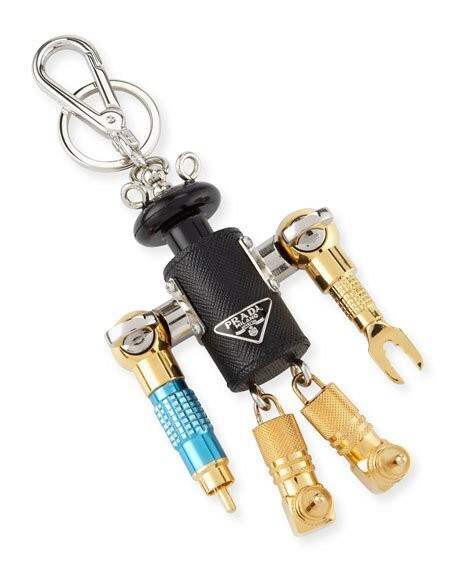 Check out this keychain with a name (“Robin,” presumably in homage to Robin Williams’ Bicentennial Man and not Batman’s sidekick — Prada didn’t know I was going to write this) and a nonsensical design — saffiano leather body, over-sized arms, knob head, and legs that can’t possibly support the weight of the body, let alone function — that should frustrate you out of procrastination faster than Harrison Ford in the Millennium Falcon (because a Star Wars reference works better than a call back to Blade Runner 2049, okay?). Tracy K. Smith is a fantastic and deserving US Poet Laureate, but if I were her I would relinquish my throne immediately and make it my life’s mission to find the person who wrote “A liquid-shine gunmetal finish enhances the aquatic appeal of a shark-tooth key chain that adds a bit of bite to your style” about a $320 joke and make him or her my personal guru. This is a leather egg. It costs $245. According to payscale.com, the average wage for a lifeguard is $9.18 per hour. 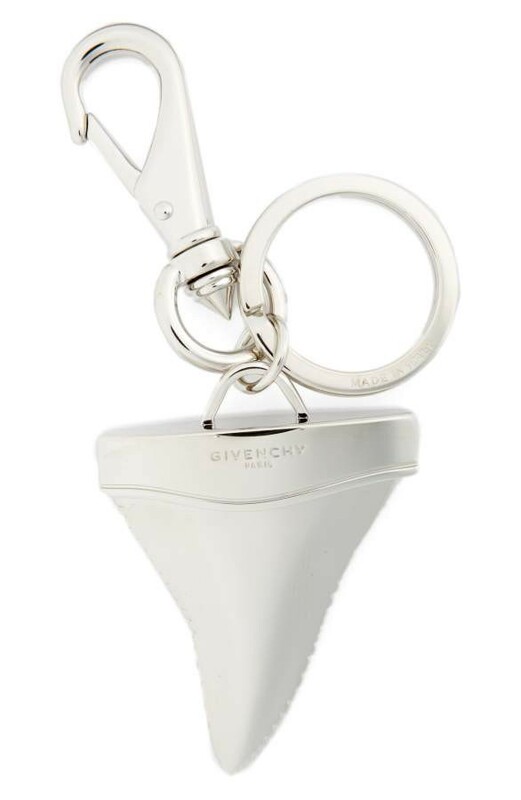 This keychain which I actually really like is on sale, down to $79 from $115. Ignoring taxes, a lifeguard would need to work 8.6 hours. To afford a keychain. That I actually think is super cute. And am going to buy for my mother unless someone helps me find something better/cheaper stat. Dammit. 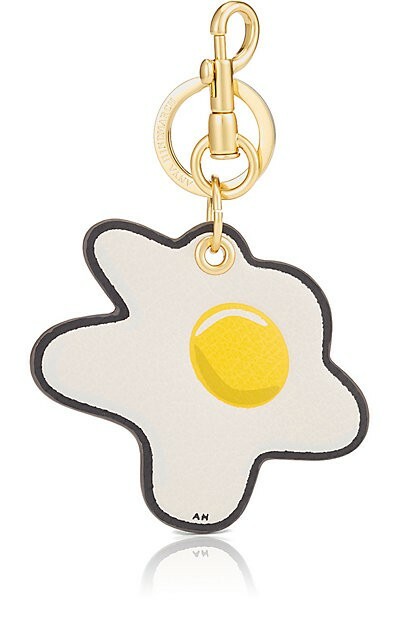 *Though if you really want to be gobsmacked, check out these designers’ “bag charms” — basically Christmas ornaments for your purse, I guess? — which are usually worth more than my 2008 Chevy Aveo.